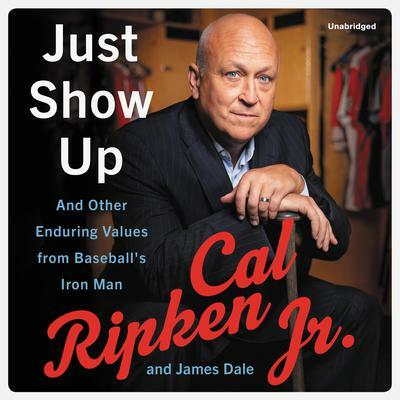 Read by Cal Ripken Jr.
Iron Man Cal Ripken Jr.the 19-time All-Star, World-Series winning legend, American League MVP, and record holder who played 2,632 consecutive gamesoutlines eight rules for the game of baseball and life, draws from the lessons he has learned on and off the field. Cal Ripken Jr. is a baseball legend. But legends arent born, theyre made. For twenty-one seasons Ripken took the field day in and day out, through cold, heat, rain, and sometimes snow, playing in more than 3,000 games for the Baltimore Orioles. In 1983, the revered shortstop helped lead his team to victory in the World Series. On September 6, 1995, Ripken did the seemingly impossible, he surpassed Lou Gehrigs unbreakable fifty-six-year-old Iron Man record, setting a new mark of 2131 consecutive games then played another 501 consecutive games. Throughout his career, Ripken was admired for his consistency, hard work, and loyalty. There were successes and failures, but above all was an old-fashioned sense of doing whats right, every single day. Since retiring in 2001, Ripken has enjoyed a successful career as a baseball analyst, entrepreneur, and author. Now, in Just Show Up, he reflects on his life and career to offer lessons for the next generation and those to come. Ripken speaks eloquently about the timeless values he has lived by: Life is a streak, play the long game; Success and money are not the same; Play fair, win fair. 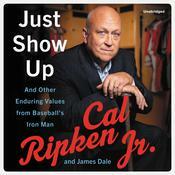 And he shares stories of his legendary father, Baltimore Oriole coach and manager Cal Ripken Sr., what it took to keep the streak alive, and what it meant to bring the World Series to Baltimore. Cal Ripkens message is simple yet poignant; wisdom essential to anyone trying to forge a successful life in times that are often chaotic. Blending insights from sports, business, and a life well-lived, Just Show Up is the story of an American legend and the principles he has lived by, standards our time needs. Author Bio: Cal Ripken Jr.
Cal Ripken, Jr. was a shortstop and third baseman for the Baltimore Orioles for his entire twenty-one-season career. He was a nineteen-time all-star and is one of eight players in history to amass over four hundred home runs and three thousand hits. In 2007 he was inducted into the National Baseball Hall of Fame, after earning the most votes in history. He is CEO of Ripken Baseball, Inc., a company dedicated to growing the game of baseball at the grassroots level. He currently lives in Maryland with his wife and two children. James Dale is former president and CEO of advertising agency W. B. Doner & Co., whose clients included British Petroleum, Chiquita, Arby’s Restaurants, Klondike Ice Cream, CBS Sports, Johns Hopkins University, and Verizon Wireless. Coauthor of Bullies, Tyrants, and Impossible People, among other books, Dale is cofounder of the business consulting firm Richlin/Dale LLC. He lives in Baltimore.